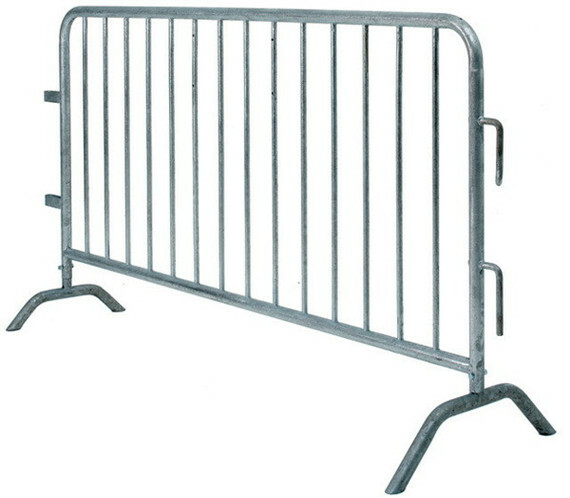 Crowd Control Barrier can be called portable barricades, sample, easy handle with one person. 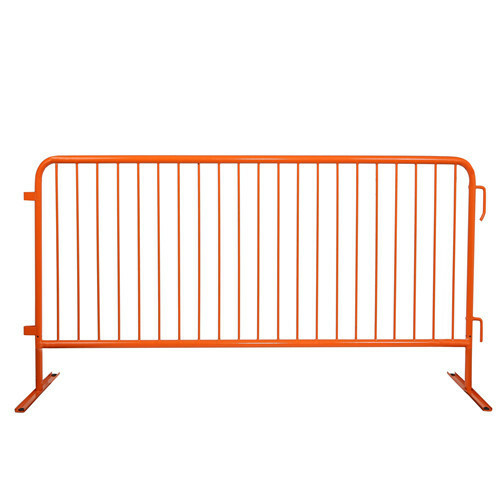 crowd control barrier (also referred to as crowd control barricades, with some versionscalled a french barrier or bike rack in the USA), are commonly used at many public events. 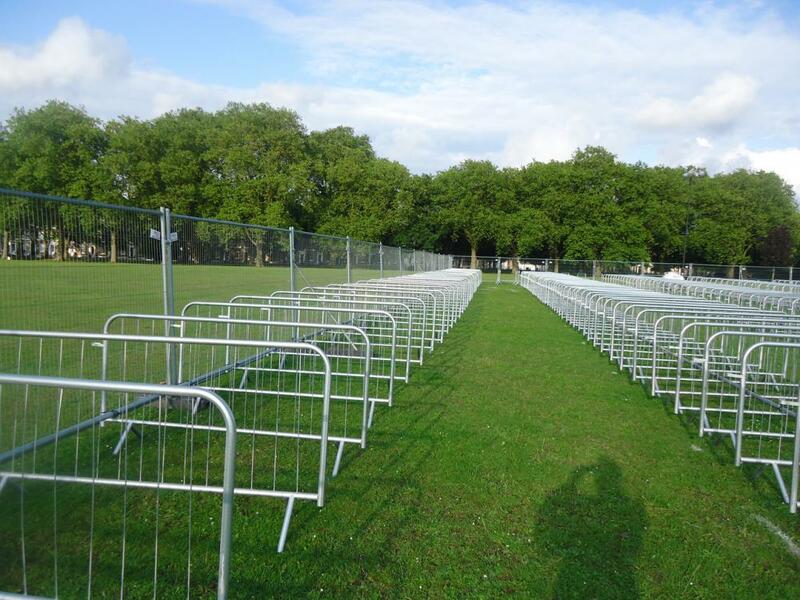 security for special events, parades, festivals, concerts and sporting events. 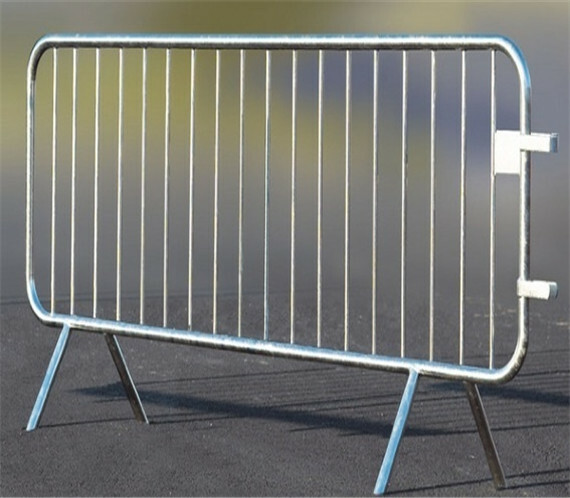 crowd control barrier is ideal where high quality, attractive and durable crowd control is required. 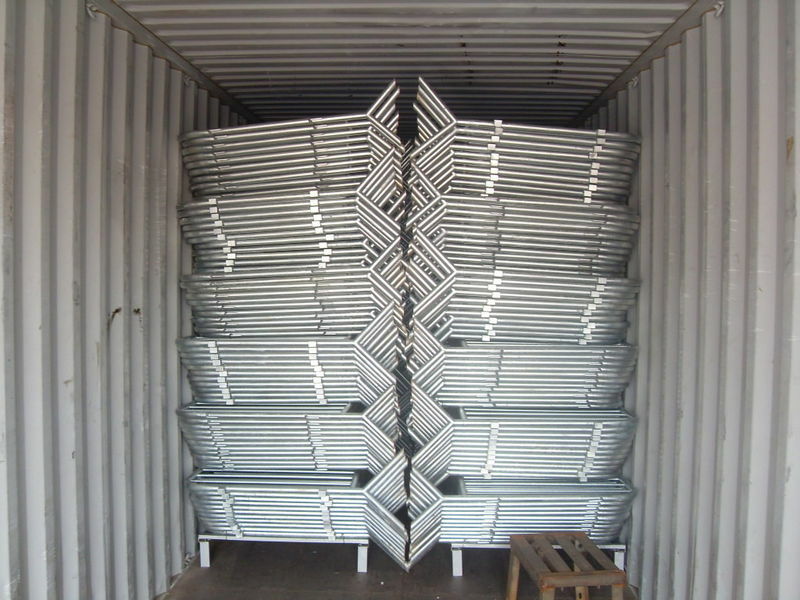 Built to proven design standards,Crowd barricade is built from high-quality carbon steel and is hot-dipped galvanized inside and out to ensure long-term weather resistance. Crowd Control Barrier / Road Barrier made by bended pipe with a elegant appearance with sturdy and removable features compare with traditional fence it united the panel and Post install process more faster the feet of crowd control barrier can be customized difference shape such as steel feet, triangle shape, bended ones and so on. According to Customers requirements and feet can be design welded permanent and removable types. 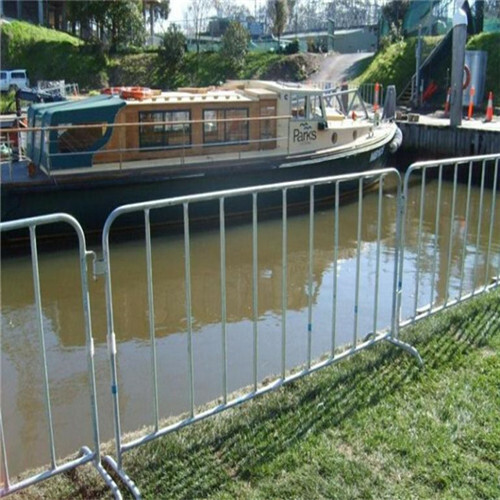 1> control barrier with a bridge-style foot, is the best selling crowd control barrier on the market! 2> The bridge-foot design provides maximum stability for the barrier , thus making the product an ideal choice for use on grass, soft or uneven surfaces. 3>The Bridge Foot provides the best resistance to pushing by crowds - so if you are planning a parade, rally or concert, choose this for your sensitive crowd control needs. 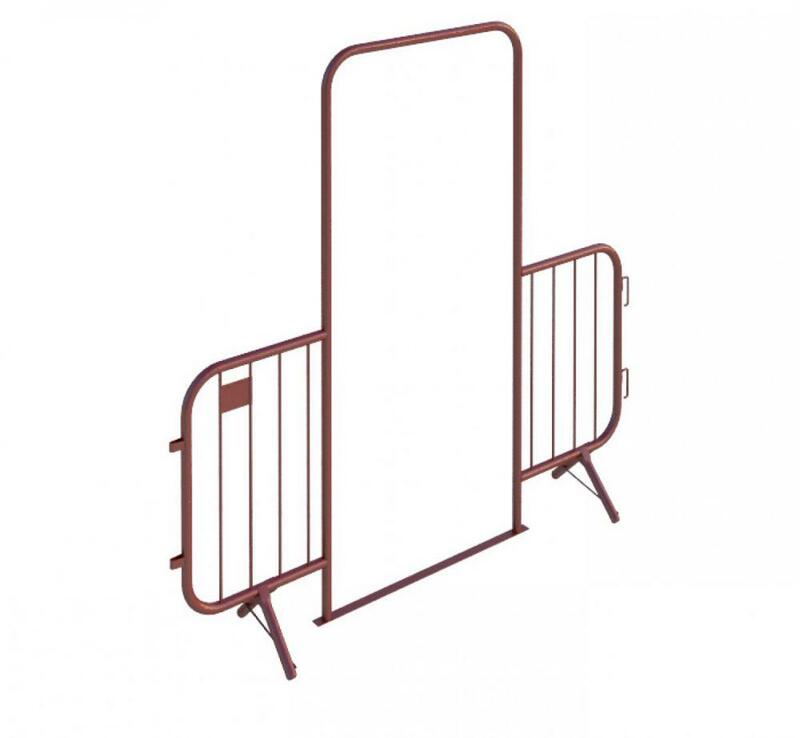 1>crowd control barrier with a flat-style foot, is the ideal choice at special events or venues that require funneling crowds or traffic in parallel lines. 2>The flat-foot design minimizes the tripping hazard and vehicle tires roll easily over the foot without damage to the barricade. 3?The flat foot distributes weight evenly and rubber grommets provide added protection for sensitive floors. Two holes in each foot allows it to be anchored to the ground. 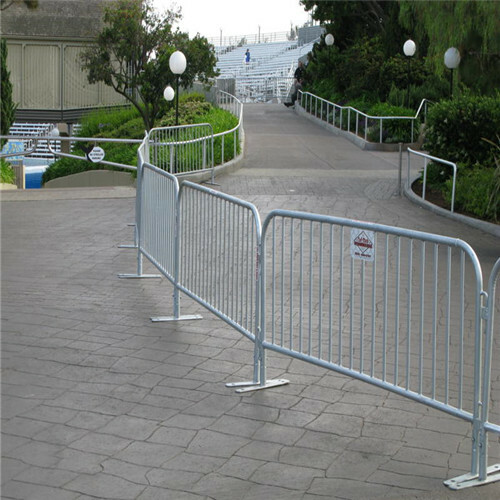 Looking for ideal Metal Crowd Control Barrier Manufacturer & supplier ? We have a wide selection at great prices to help you get creative. 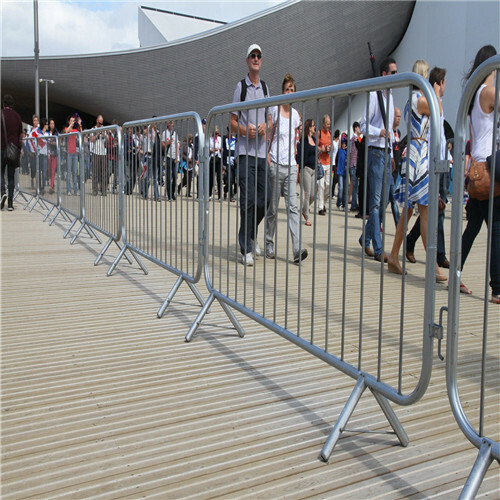 All the Handle Metal Crowd Control Barrier are quality guaranteed. 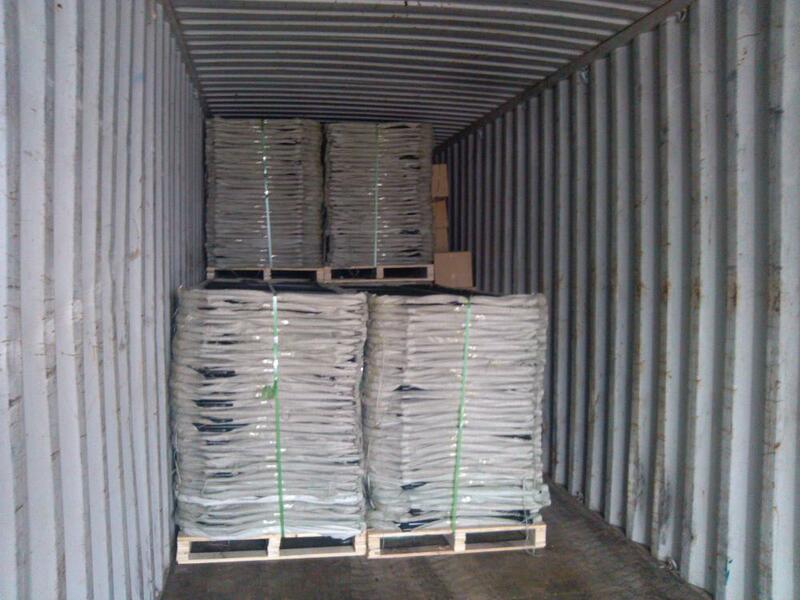 We are China Origin Factory of Powder Coating Portable Barricades. If you have any question, please feel free to contact us.